The Golden Age of Piracy is one of the most interesting and misunderstood eras of history. In an era ruled by oppression and tyranny the pirates were uniquely libertarian and championed the earliest ideas of freedom and democracy in the New World. This period of history has captivated the public's imagination since it began and has spawned countless books, movies and video games that glorify infamous pirates such as Bartholomew Roberts and Blackbeard as well as all of the other famous pirates and privateers throughout history. In the beginning of the 16th century the Spanish had conquered the New World empires of the Aztec and Inca and were beginning to transport the massive wealth back to Europe. However, the other colonial powers at the time chiefly England, France and the Dutch Republic seized upon this opportunity to attack Spanish ships and plunder their wealth. During the early 16th century this practice was not called piracy but privateering and was sanctioned by the sovereigns at the time through letters of marque. This era saw the rise of the famous English Sea Dogs such as Francis Drake, Walter Raleigh as well as the French Corsairs such as Jean Fleury and the Dutch Sea Beggars as well as many more. The Brethren of the Coast, also known as the famous buccaneers, were ruthless French, English and Dutch privateers and pirates that helped strike mighty blows against the Spanish Main by pillaging and sieging cities during the Buccaneering Era. Some of their most famous exploits include the sacking of Panama by Henry Morgan, the raiding of the Pacific by Bartholomew Sharp and the establishment of the infamous Pirates Locations at Tortuga and Port Royal. If it was not for the efforts of the buccaneers the other colonial powers would have never been able to establish a foothold in the New World and they were a useful tool of the empires throughout the 17th century. The Pirate Rounders were a group of infamous pirates that chose to make the voyage around Africa and into the Indian Ocean known as the Pirate Round to loot the treasure ships of the East Indies. These pirates took more wealth than any other pirates in history and were well established at their pirate haven of Madagascar. While not as famous as their West Indies counterparts, the pirate rounders were much more successful as the merchant ships carried much more exotic goods and the colonial powers did not have military presence in the region. Divided into two eras before and after the Post Spanish Succession Period, the pirate round saw popularity when piracy in other regions of the world declined.  During the Post Spanish Succession Period many famous and notorious pirates of the Flying Gang terrorized the seas of the Caribbean and the Atlantic from their base on Nassau. 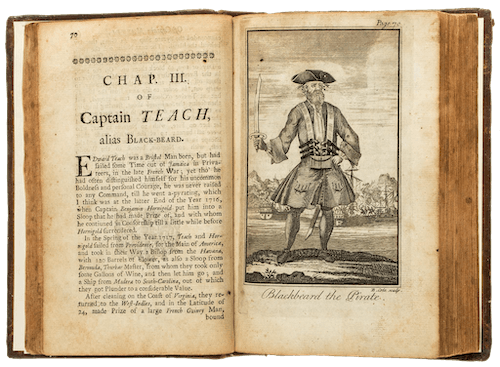 From household names like Blackbeard to 'Calico' Jack Rackham, these pirates painted a storied and vibrant picture in the otherwise dull and dreary 17th and 18th centuries. Known as the Flying Gang, these pirates were responsible for nearly shutting down trade in the West Indies, especially the lucrative slave trade which meant they had to be stopped at all costs. Learn about the lives and fates of all these famous pirates, along with contemporary historical pictures in our pirates section here. Ever wonder what it would be like to visit 17th century Tortuga or walk among the pre-earthquake destroyed Port Royal? 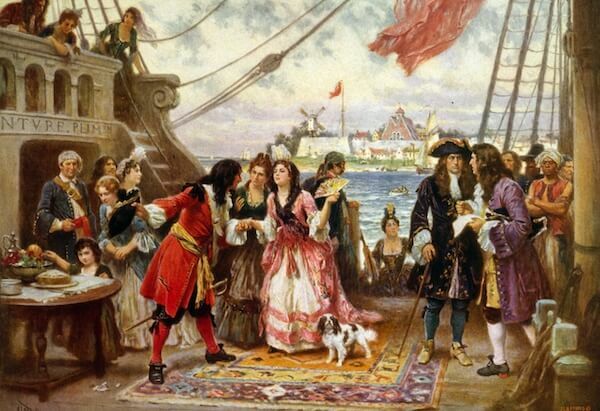 How about traveling into the Bahamas to visit Blackbeard and the gang at 18th century Nassau? Well here at Golden Age of Piracy you can. With the pirate havens section you can jump right into your favorite locations and learn about the real history of them in the Golden Age of Piracy. Most of these locations provided great launching places for piracy against the Spanish and other merchants. They also provided an outlet for stolen goods and a place to safely repair the ship. These havens were often filled with prostitutes, gambling and drinking, a welcome respite for any pirate at sea for months on end. No good pirate would have lasted a month into his career without the availability of these ports. As the Imperial navies stepped up and the monarchies in Europe resumed their control over the New World the decline of these ports matched the decline of piracy. What happens when you find yourself in command of a 200-ton British man-of-war brandishing 124 cannons you just seized from some British Royal Navy sailors? More so what one of those broadsides felt like if you weren't successful? Sailing one of these was like sailing a tank on the Atlantic and yet despite its speed it was these ships that eventually saw the demise of the pirates. Buccaneers and pirates on the other hand favored smaller, faster ships like sloops or brigantines that they could use to easily chase and board a ship. They would often have a larger ship in their small fleets such as a brig or frigate that could carry men, goods and cannons which would often provide backup after the smaller ship overtook the target. Steering, maintaining and sailing an old wooden ship was no small job and a loyal and competent crew were the backbone of any successful pirate. Learn more about the different types of pirate ships and more about life aboard a pirate ship here during the Golden Age of Piracy. You can also check out some of the famous pirate ships to ever sail the seven seas throughout the world.